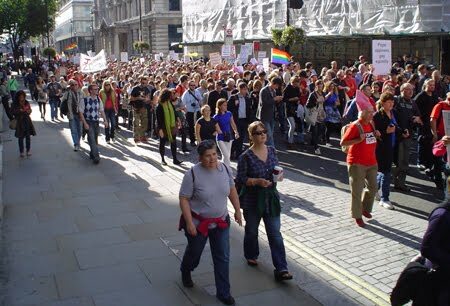 Spent a great day at Protest the Pope yesterday. 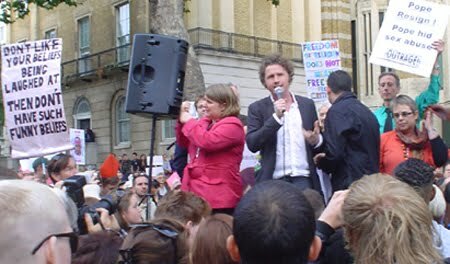 The march progressed via Picadilly from Hyde Park Corner to Downing Street, had an attendance of around 20,000 (figure unconfirmed) and was organised and supported by the British Humanist Association, National Secular Society, Peter Tatchell among many others. 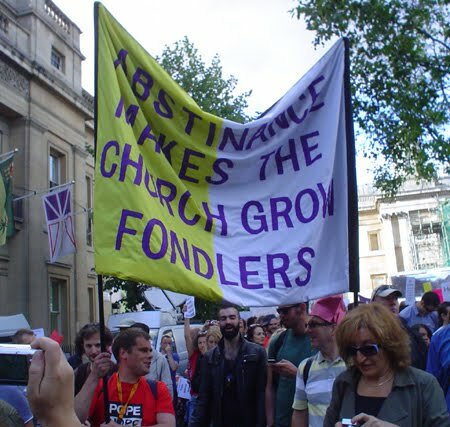 Fox news reported we were led by "gay activists and radical feminists, with some nasty banners" (thanks @zeno001 for the clip), but the BBC was a bit more even-handed. A distinguished roll of speakers provided us with thoughts and often humour. 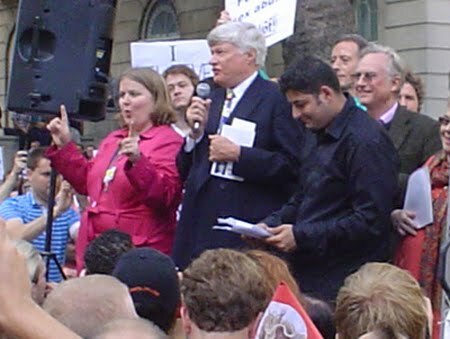 Johann Hari opened by informing the police that a person complicit in cover-ups of paedophilic abuse was a short distance way and would be easy to arrest. 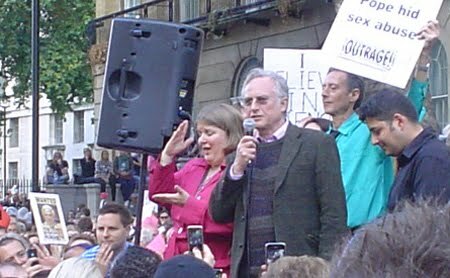 Richard Dawkins speech is here. I wrote about the culture of the Catholic Church in the wake of the child abuse scandal in Priests, Pederasts & Privilege. 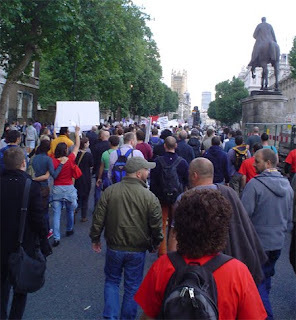 Whitehall makes a splendid echo chamber when 20,000 people chant together. Good to see you there.